Keep your eye on the prize with these simple but powerful CPA exam study tips. They will help you prepare for the CPA exam much more efficiently as well as increase your focus and motivation. Studying for the CPA exam is like learning a language. Consuming just a little bit each day is crucial to re-enforce what you have already studied as well as develop a solid study routine. Keep it fresh in your brain on a daily basis and you will retain much more information. Okay, now write down in as few words as possible why you want to pass the CPA exam. For me personally it was 2 things: #1 To get a $5,000 bonus and #2, to prove everyone wrong who told me there was no way I could pass all 4 sections in 9 months with a full-time job. Go post this somewhere in your room where you will see it everyday. Mine was on a white board right next to my door so every time I left I would see in it big bold red letters. This little reminder helped me to stay motivated at times when I felt like giving up and kept me in check by reminding me everyday that there is in fact a light at the end of the tunnel. Got any useful tricks up your sleeve?! 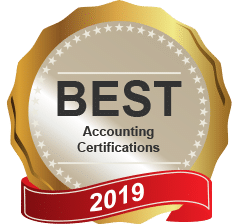 If you have any tips or tricks of your own that helped you pass the CPA exam we want to know about it! Please share in the comment box below and help others who are going through the same struggles as you. Hello!I'm studying for my CPA exam with Becker. I'm facing some difficulties while practicing the Simulations part. Any advice? Hi!I am going to take the CPA exam next month. I feel like I need to review more and study harder. Actually, this is 4th time to take. It is really hard especially to a home based mom like me. CPA exam here in the Philippines is quite different since we have to take all the board subject and pass them right away. After that, that it's!And we also have review schools here. And the problem is when the exam date is approaching near they cram to teach everything and I found myself restless and no time to study all by myself or what I mean is to practice the problem solvings. Ugghhh! Here I go again, I hate to failed again since. It is really hard to review.Yeah! Recordings are great! I also do it in some of your theory subject. I recorded them why I do some stuffs. For me my two things #1 to get the license and practice solely #2 to be free from board exam as if I still have unfinished business.Thank you for the time reading my comment. I hope I can do this and I promise to myself to give my last best shot. Thanks for the tips! Do you have any advice for improving one's performance on the MCQ's? Oftentimes I'll have most of the principles down, but I'll get a question wrong due to one detail or a silly mistake. Hi I am studying for the FAR exam and I am having tough time remember the material. I know it is impossible to remember all the material. 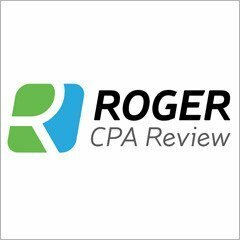 Would you be able to help me how I can pass the CPA exam. It is very tough. I read the material and I forget the material that I read in the beginning in the chapter. Would you say the bottom line to doing well, is doing as many practice questions as possible, while taking the time to understand why the answer is what it is? It's Tuesday morning....my exam is Thursday at 1pm. I have tomorrow off from work. I'm wondering if I should postpone my exam. I'm using Becker and have gone through 95% of the questions and the sims for chapters 1-9. Chapter 10 is only partially complete. My fear is that I've only done all of the homework questions once, took maybe 4 progress tests. I made my own chapter outlines to refresh my memory about the important parts. I feel pretty comfortable with the concepts but am afraid the questions will trip me up. I'm planning on doing all progress tests when I get home and if I don't do well....then I'll have to postpone it a week or two. I've been cramming and learning the material for the last month and a half. About 5 hours every single day (okay, I took three days off). I feel as though a day and a half is not enough time to review everything I've learned. :( Especially because everyone recommends to run through the questions a lot and often. Definitely would recommend to not put it off, give it your best shot you've come so far and can always re-take it!